It drew me in. I thumbed through the pages and came to Figure 2, “Change in Life Expectancy at Birth by County, 1980 to 2014.” It was a map of the U.S., Alaska and Hawaii showing that the average life expectancy of Alaskans had increased in every area of the state during those years. But the most dramatic increase could be seen in the North Slope Borough, Northwest Arctic Borough, Aleutians-East Borough, Kodiak and Southeast coast of Alaska; these areas saw increases between 8 years and 13 years in life expectancy, at birth, between 1980-2014. Nearly 80 percent of the state saw an increase of more than 6 years over that 35-year time period. That stopped me. I had to ask: What caused this dramatic increase, larger than most of the rest of the U.S.? The researchers’ discussion was interesting. Socioeconomic and race/ethnicity, behavioral and metabolic risk factors, and health care factors combined to explain 82 percent of the contributing factors to change in life expectancy. Well, that’s not hard to answer for those of us who were here in those years. The trans-Alaska oil pipeline began transporting oil in 1977. Red Dog Mine began production in 1990. The Magnuson-Stevens Act pushed out the foreign fishing fleets, leading to important development of Alaska fisheries. These resource developments, along with others around the state, changed Alaska from a struggling new state, to an economically thriving place. Health care, education, clean water, wastewater treatment and good-paying local jobs transformed rural and urban Alaska. The Alaskan people benefited. Then came resource development. As a nurse practitioner, I had the wonderful privilege of providing health care services in those same rural areas, now thriving communities with schools, clinics, roads and jobs. As a health care professional, it still brings tears of pride to my eyes to contemplate the change in our state. We still have challenges. But we met challenges before and have demonstrated an ability to solve them. The caribou, polar bears and fish all coexist with our industries. The important thing is our lands are precious for the resources they contain, and our people can and will thrive by utilizing and stewarding them. 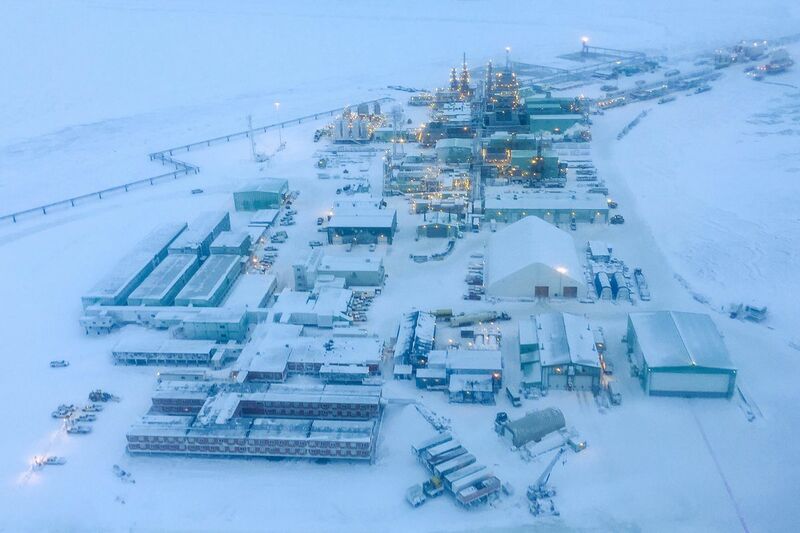 Alaska’s resource development continues to bring health and happiness to our people. Cathy Giessel, a Republican, is an Alaska state senator representing District N, which covers parts of Anchorage and communities along Turnagain Arm.